And now the Mirror Universe line of gaming aids is also available on DBB website. While we are hard at work to bring to you Mirror Universe Vol. 2 in full colour and spandex, stay tuned for the next announcement, and the MU first freebie! 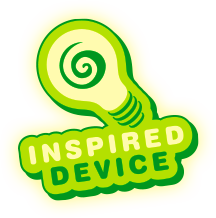 Get teased with Inspired Device! Mirror Universe :: Vol. 2 incoming! Layout stage is completed for the sequel of the succesful Mirror Universe :: Vol. 1. 12 new concepts and standups in full colour and spandex, are ready to be checked for approvation from the nice guys at Green Ronin. You’ll clash the one-army-clone Bulletproof, meet That Girl, discover the origins of Cherubim, have a glimpse of the future with Mercury, be seduced to death by Frostbite and maybe burned to ashes by Flameborn. Meanwhile the MU first freebie is on the way! Get informed with Inspired Device! We teased you enough! And now you can download the first Mirror Universe freebie right here. We collected all the comments and suggestions of our customers and produced the “Tokens Assembled!” kit. Now you can find all the Condition Tokens you need for your M&M supergames, collected in a couple of pages (in fulgent color or crisp b/w lineart), ready to be printed. Pen, paper and scissors with Inspired Device! Mirror Universe :: Vol. 2 Released! As promised Mirror Universe:: Vol. 2 is here! All the details (and roll calls too) just here! Always at work (here) at Inspired Device!